The Safari portion of our trip is over and we are now headed to Cape Town for a few days. If you have ever wanted to visit South Africa and meet the people and see the animals you need to do it. Had an out standing time. We stayed at a place called Zulu Nyala. If you have kids in school, stays at their reserve frequently show up at fund raiser events. That’s how we got ours. I would 100% recommend. It isn’t the biggest reserve, but they have a good verity if animals. The guides are good as well. Our room was amazing. 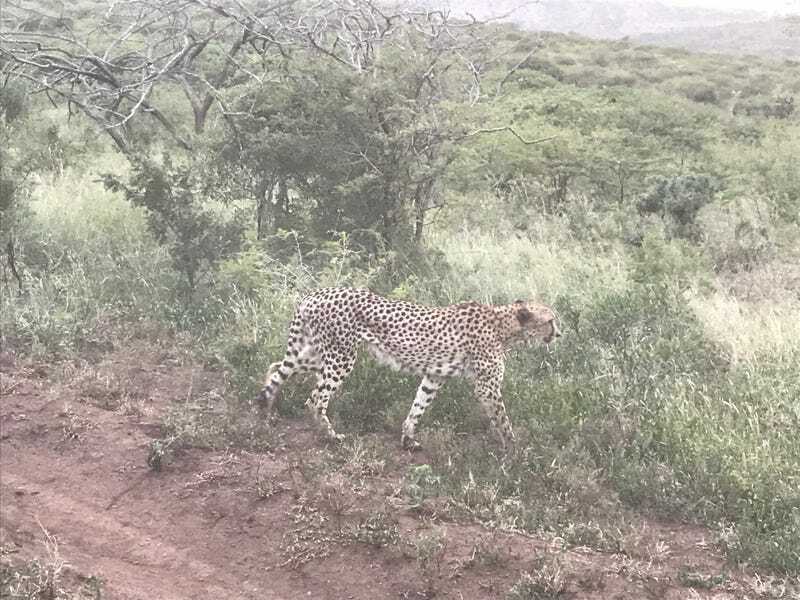 The top pics shows the cheetah walking past us. That’s a no zoom pic. It just walked on by. We came across it five minutes later after checking on a couple of rhinos at the watering hole and it had taken down an impala. Impressive animal.